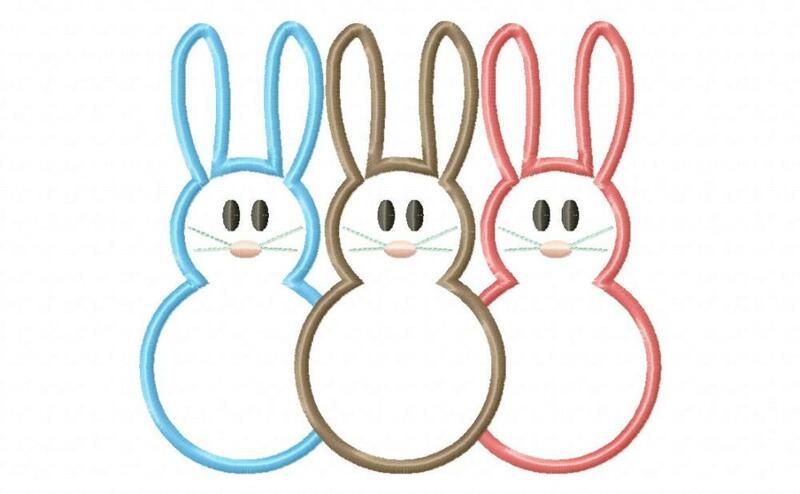 3 Simple Bunnies - 4 Sizes! Three little bunnies just waiting for your cute fabric choices! Add a monogram for a personalized touch. Alphabet is not included. 3 Simple Bunnies, Blanket Stitch Applique - 4 Sizes! Zig Zag Bunny Tummies Applique - 8 Sizes! Finish Size 5.08" X 5.84"
Finish Size 6.25" X 7.20"
Finish Size 7.50" X 6.51"